Meyer Sound is making a renewed commitment to further reduce energy consumption, cut manufacturing waste to zero, and provide more incentives for employees to reduce their personal carbon footprints. The new efforts build on more than a decade of work led by Meyer Sound’s own “Green Team,” a group of employees representing every department that continually work on new initiatives to further the company’s ambitious sustainability goals. Spearheading sustainability efforts is 30-year company veteran Gary Robinson, who for the past decade has served as director of facilities and campus expansion. 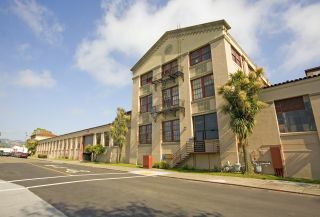 Robinson is charged with overseeing Meyer Sound’s physical plant, which comprises a cluster of nine structures in the bayside industrial flatlands of Berkeley, CA.